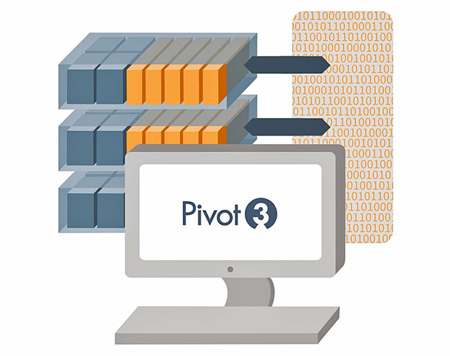 Pivot3 securely delivers Security Operations Center capabilities anywhere, any time. By consolidating all video, access control and other security client workstations and applications into one centralized platform, Virtual Security Server (VSS) enables flexible delivery of real-time security clients to any device, reducing the need to invest in expensive, graphics-enabled PCs. Most Virtual Desktop Infrastructure (VDI) solutions cannot handle graphics-intensive workloads like video surveillance, and performance degrades rapidly when only 2-3 HD video streams are transmitted. Pivot3 VSS can deliver 40 simultaneous, 30fps HD video streams from a single appliance without any performance degradation. And depending on the configuration, this number can be significantly higher. The Virtual Security Server (VSS) delivers power and flexibility for Global Security Operations Centers. By consolidating VMS hosting, security applications and their data, and all client workstations into one centralized platform, VSS enables flexible delivery of anytime, anywhere monitoring, on any device, reducing the need to invest in expensive, graphics-enabled PCs. VSS lets you eliminate expensive graphics enabled workstations and provides a simple, centralized client workstation and software administration. Users can also drive video walls and other SOC functions without specialized equipment. Access all integrated system clients on any mobile device without limiting functionality, deliver real-time system access to remote facilities, guard houses, first responders and mobile units. VSS works with virtually any system, with no customization required. VSS ensures secure, encrypted communication between server and end point devices. Data never leaves the data center and cannot be downloaded, copied or intercepted. The advanced system resiliency of vSTAC OS provides automatic VM failover and advanced fault tolerance. Enhanced performance, mobility, and security to video surveillance operations, while also reducing cost and complexity.